Ciaran Kilkenny wants to keep his options with the Dublin senior hurlers open. CIARAN KILKENNY HASN’T given up on his dual dream and says he would love to be lining out for Dublin’s hurlers tomorrow night. Instead the capital’s rising star will have to watch from the stands when Anthony Daly’s side take on Wexford in the Leinster SHC quarter-final replay in Parnell Park. Although Kilkenny has commited exclusively to football at senior level since coming home from Australia, he has been training with the U21 hurlers and played in Tuesday’s shock defeat to Carlow. With Lee Chin making headlines following Championship appearances in both codes for Wexford last weekend, Kilkenny admits that the prospect of juggling the two games is still very appealing. “This year, no, I’m prioritising football,” he said when asked if he might feature in Daly’s plans later this summer. But please God in the future, when I’m in college, some year I’d like to give it a go. You see Lee Chin, he’s doing fantastic stuff there at the moment. Tuesday’s two-point defeat against Carlow was a killer blow and its manner, decided by an injury-time goal from Marty Kavanagh, stings. Kilkenny is gracious in defeat though and refuses to pin the result on over-confidence or lack of preparation. “We’re obviously disappointed about the result but in fairness, Carlow are a traditional hurling county and they were the better team on the day. We just wish them the best of luck for the U21 campaign. Focus now returns to football and Dublin’s Leinster SFC semi-final date against Kildare on 30 June. Last year the Leaving Cert was an unavoidable obstacle in the Championship summer and Kilkenny only joined the senior panel half-way through the campaign. Despite missing part of the league with a knee injury, he is one of a handful of youngsters who used those spring months to establish his credentials in manager Jim Gavin’s first season. Fellow new boys Jack McCaffrey and Paul Mannion have also caught the eye and the squad has melded new and old together nicely, Kilkenny says. Even the criticism that has come his way can’t faze him. If anything, he wants to use it to his advantage. “Every player is going to get criticism down the line,” he says when asked about Jack O’Shea’s recent description of him as ‘a junior footballer’. “You just have to take it in your stride. I suppose he hadn’t seen me play much, really, but he’s a legend of the game and if he could come back and tell me I’d like to listen to him. You just take stuff like that in your stride all the time as an inter-county footballer. It could be from your Dad, it could be from your manager. Listen to them, take it on board, see can you improve your game and take it in your stride as well because I’m only 19 and please God, I’ll have a long career in GAA. I have to build a thick enough neck. Email “'I'd like to give it a go': Ciaran Kilkenny keeping his dual ambitions alive”. 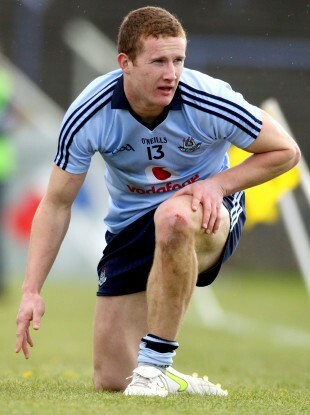 Feedback on “'I'd like to give it a go': Ciaran Kilkenny keeping his dual ambitions alive”.